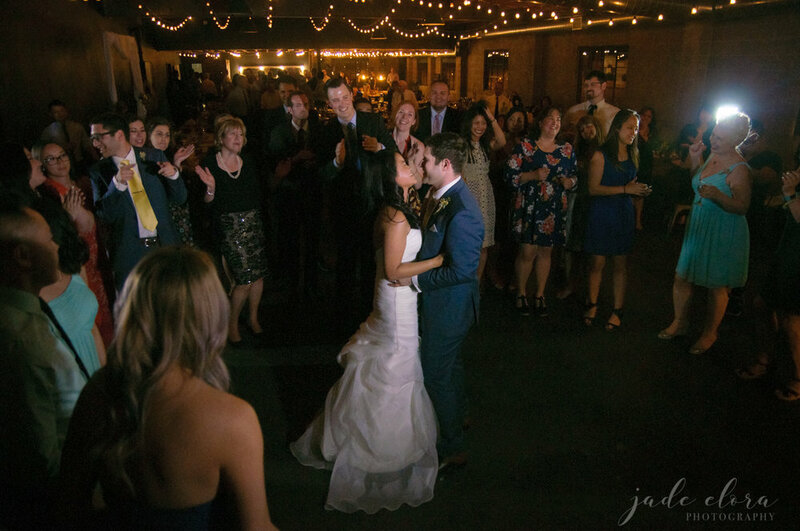 Irene and Sam's rock-and-roll inspired nuptuals were a perfect representation of them as a couple: fun, stylish, and full of laughs. 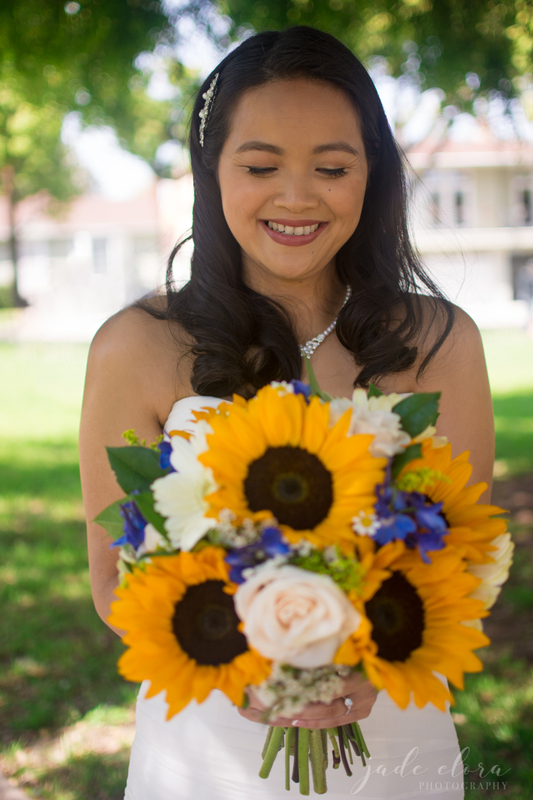 Irene and Sam wanted to bring color into their wedding, so they went for a combination of blue and yellow. So it's no secret I'm dog-crazy, but this shot in particular I just love. I think it's mostly because he just looks so happy and confused at the same time. 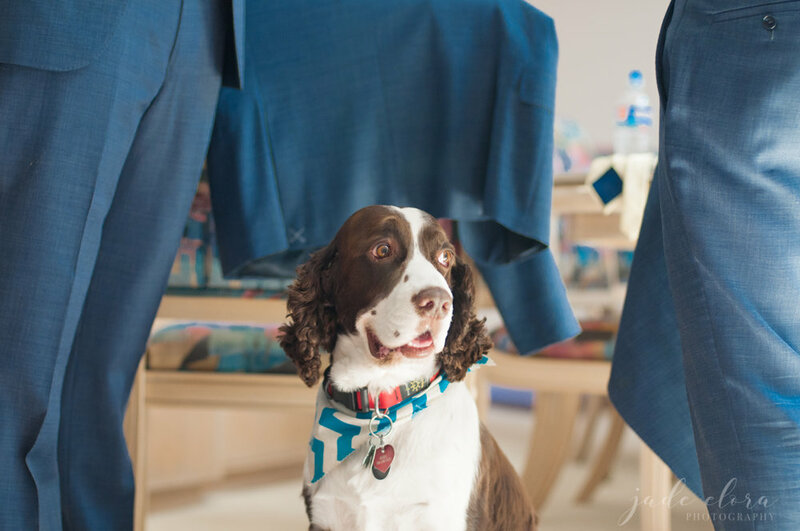 It kind of shows how fun yet strange weddings must be from the perspective of our pets. Mixed bridal parties are the best! Why not include all of your favorite people? 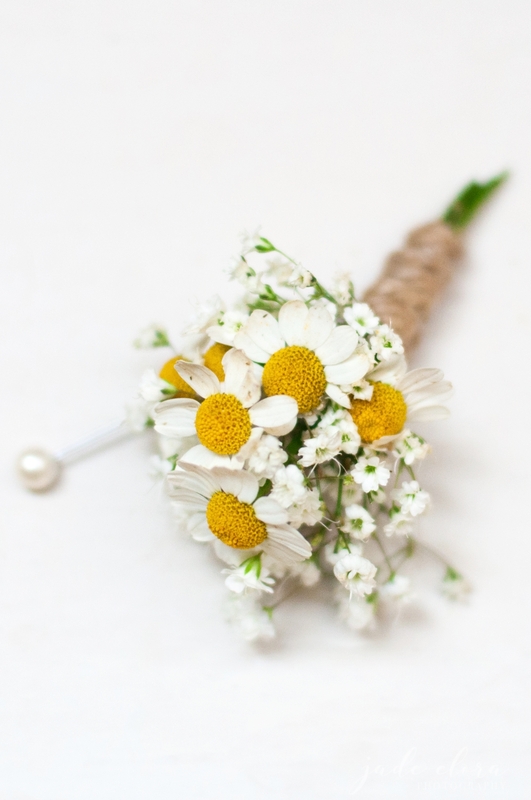 I especially love how the bride decided to give her "bridesman" his own bouquet! Their flower girl may have made the best entrance of all time. After her first step into the aisle she tossed a handful of petals on the ground like a grenade. Boom! It was like a glorious mic drop. And of course, every How I Met Your Mother fan will appreciate Irene and Sam's "Ring Bear". 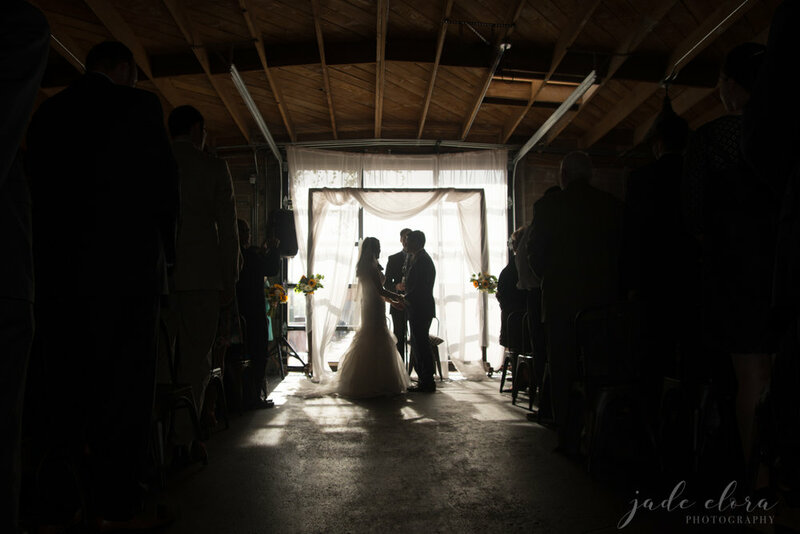 The venue, Smoky Hollow Studios, is a great industrial-meets-modern space with a giant window that served as the couple's ceremony backdrop. 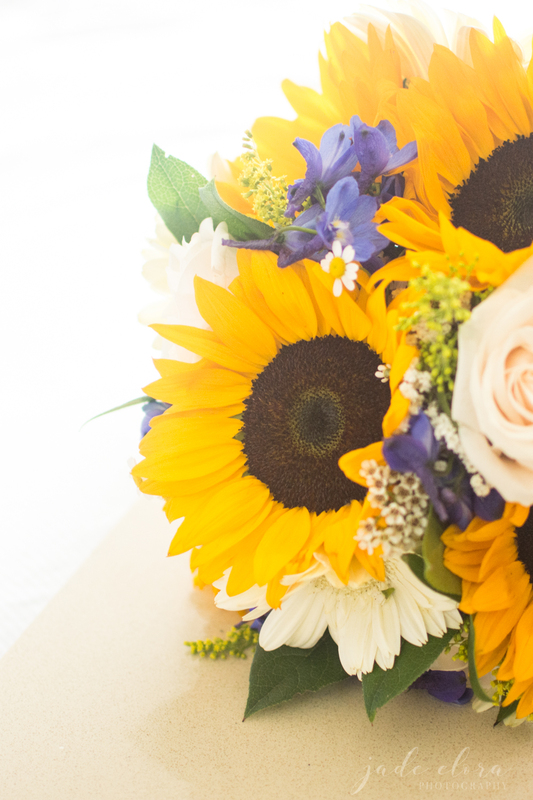 Sam and Irene incorporated their love of music into the décor and feel of their wedding. 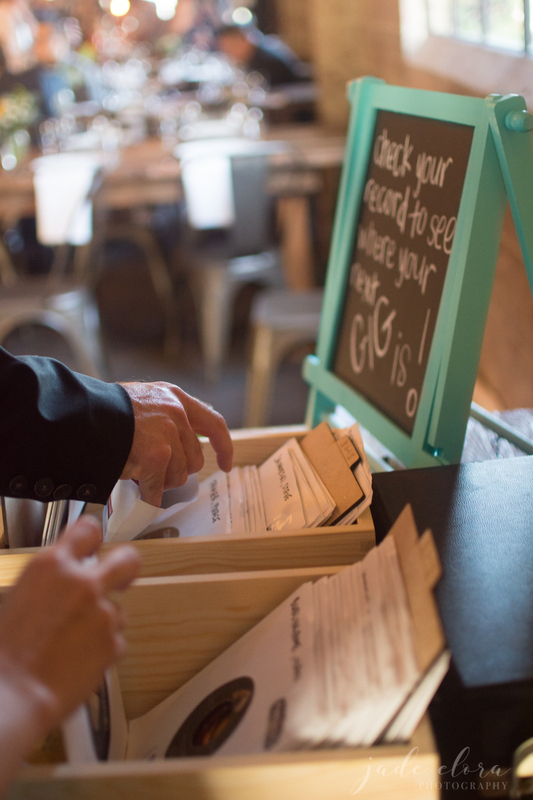 Each table was named after a famous Los Angeles concert venue and each guest found their seat by finding their name on a 45rpm vinyl record. The table names were on full-size records atop wine bottles. Their invitation was designed to resemble a music festival poster. They had that same invitation printed as a full poster on display at the reception. No modern wedding is complete without a pun-tastic donut display! The music theme carried into the couple's DIY-ed photo booth backdrop made of dozens of vinyl records. One of the great things about Smoky Hollow Studios is that they have chalkboard walls everywhere. 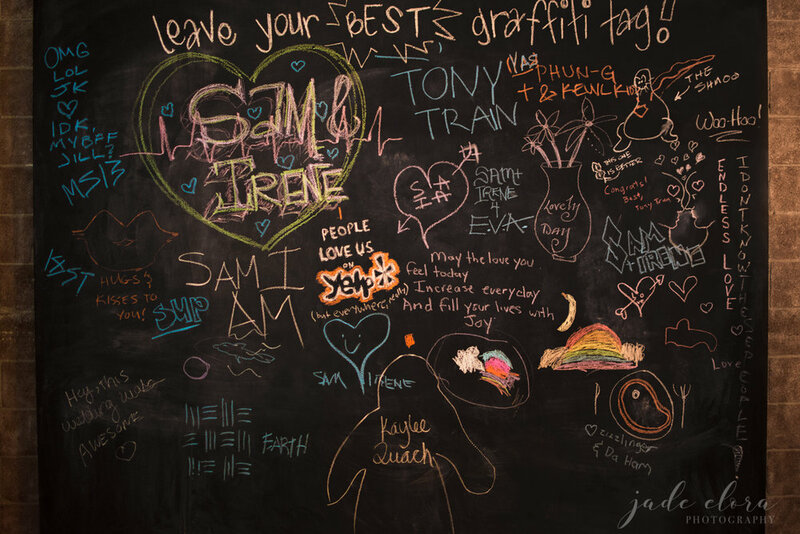 Irene and Sam came up with several really clever uses for the walls, including a "groom vs bride" poll and this awesome "graffiti tag" guestbook. After dinner, the bride and groom surprised their guests with a night of live-band karaoke!